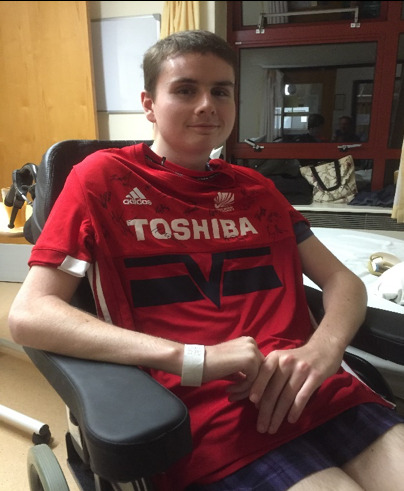 In July last year, one of our members, Chris Parke was involved in a sporting accident which has resulted in Chris being severely disabled. He is currently on a rehabilitation ward where progress has been made in his long journey towards some form of independence. Extensive medical assistance is needed to further this progress and as a Club we would like to support Chris and his family at this difficult time. We have therefore organised a Super Sevens Tournament. This will be an event featuring mixed teams consisting of 4 men and 3 women taking part throughout the day. The day will start at 10.00 and finish at approximately 5.00pm. The games will be played on a third of the pitch. There will be 3 leagues who will play out their competition and a winner from each league along with the best runner up overall, will progress into the semi-finals. A final will conclude the day and the winning team will receive the Chris Parke Trophy. Entry is £35 per team. We do hope that you will support us with our quest to raise funds for Chris' recovery. The closing date to enter is 30th April 2019, after which times, directions, rules and information, will be sent to participating teams. Entries to Julie Rayner. Deposit of £10 to be paid to RHC. Final payments on the day by cash or by card.Other donations to Chris' rehabilitation fund can be made via Just Giving. Thank you for your support - it is very much appreciated.